AB Dynamics, supplier of innovative, high quality test equipment to the global automotive industry will be exhibiting at the Automotive Testing Expo, October 24-26 in Michigan. The exhibition showcases new test solutions for the automotive industry and AB Dynamics will be at the forefront of this, displaying their range of ADAS targets and their new advanced vehicle driving similar (aVDS). 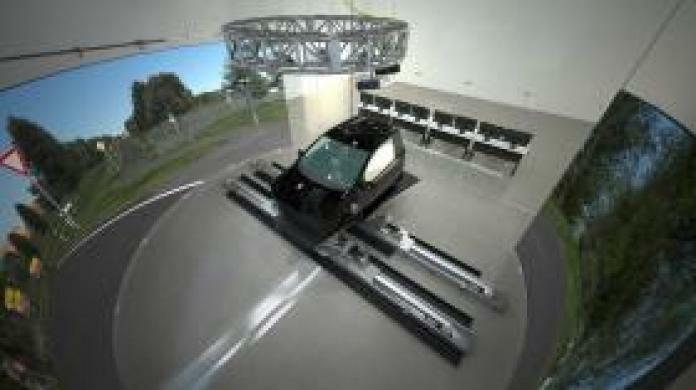 This revolutionary simulator combines a high-performance motion platform and high specification audio and vision system with world class content to produce a simulator capable of reacting to the smallest changes in vehicle configuration. This saves both time and money by allowing meaningful input from the test driver to be obtained prior to a physical prototype being available.